Entrance fee 12/10 e, free entry for children under 18 years and with Museum Card. 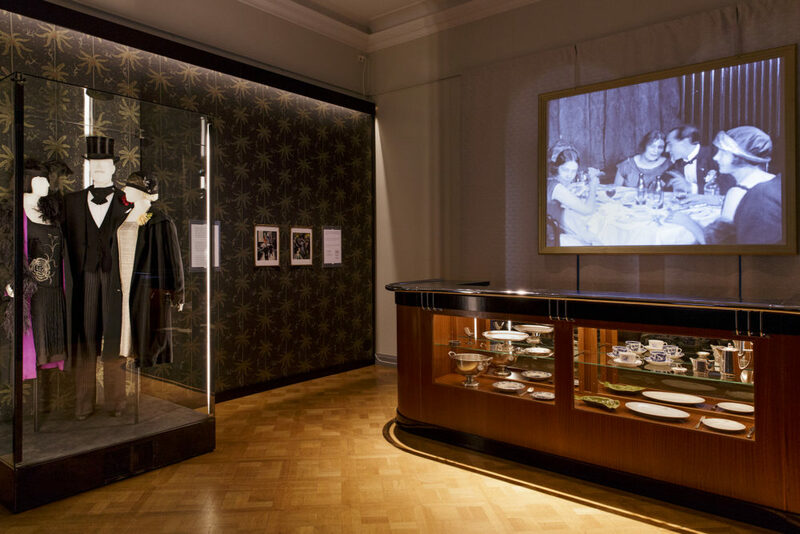 Carefree Capital – Scenes from 1920s Helsinki is a new exhibition opening on 14 September 2018 in the historic Villa Hakasalmi, located between the Finlandia Hall and Helsinki Music Centre. It will take visitors on a refreshing journey, roughly 90 years back in time. The exhibition will offer an abundance of experiences and entertainment, and will continue until 1 September 2019. Welcome to Helsinki in the 1920s! Prepare yourself for exposed knees and remember to hide your bottle of booze. Hankering for foreign frills, we’re proud to make do with domestic goods. Everyone is learning to drive a car, shoot a gun or dance the Charleston. Nothing but smiles every place you look because the people of Helsinki are sitting pretty. They believe the future will be bright. Carefree Capital provides a glimpse into the milieus of 1920s Helsinki and the mindscapes of the city’s inhabitants. Become acquainted with the lights and shadows of the city by visiting a department store and restaurant, folkpark and nocturnal street. 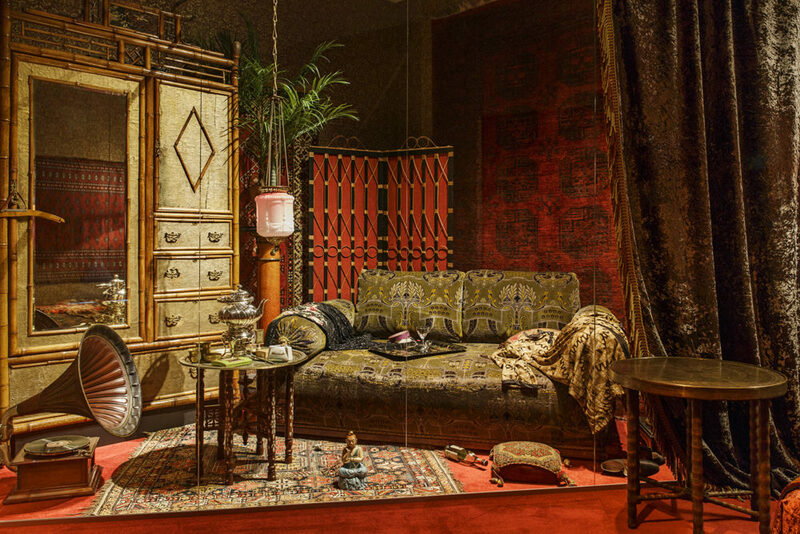 This interactive and entertaining exhibition makes you want to experience history with all of your senses: along the way, you can bend yourself into fashionable gymnastic positions, listen to the hustle and bustle of a speakeasy, jump into a silent film, lounge in an Oriental salon or play a record with a gramophone. The exciting manuscript for this Helsinki City Museum exhibition was written by an expert in 1920s Helsinki, Docent Mikko-Olavi Seppälä. The imaginative exhibition architecture was created by Tarja Kunttunen, while Samppa Ranta was in charge of the rich art-deco style graphic design. Several snippets of old films and video art by artist Ilkka Pitkänen have been used to further enliven the exhibition. Carefree Capital will remain open for almost a whole year, until 1 September 2019. 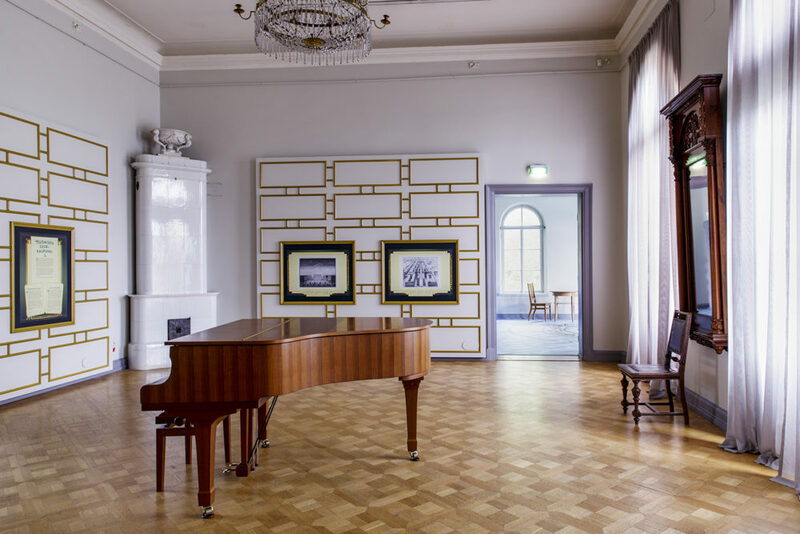 During the exhibition, an abundance of events will be held at Villa Hakasalmi, inspired by the 1920s, and dozens of concerts will let you enjoy the excellent acoustics of the Villa’s magnificent hall. The Villa is also available for rent, for example as a venue for theme parties.